Just click on the contents to navigate the site, and any comments for the Guest Book will be gratefully received. 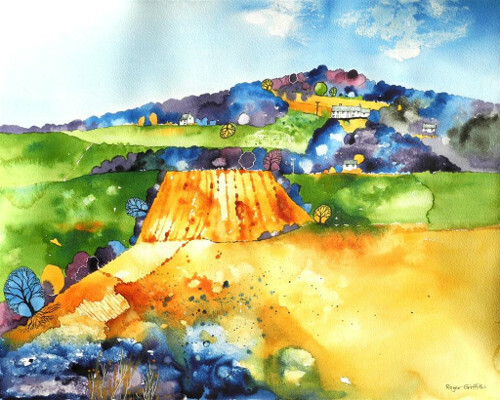 Roger Griffiths is a contemporary watercolour artist based in the Midlands. He paints landscapes ranging from uplands to coasts inspired by interpreting texture, form and colour. Some of the paintings displayed are for sale. Please contact me if you are interested.